Saturday 3rd December, International Day of People with Disabilities, will see the launch of the Commonwealth Youth Council’s campaign for youth with disabilities. The project, entitled I AM ABLE, will run for eighteen months and will seek to contribute towards the development of a more inclusive society by addressing the fact that, according to the CYC, people with disabilities are among the most marginalised groups within the Commonwealth. Through initiatives such as data collection, myth-busting and leadership training, the project will provide support and opportunities for young people with disabilities, including physical, mental and learning difficulties. 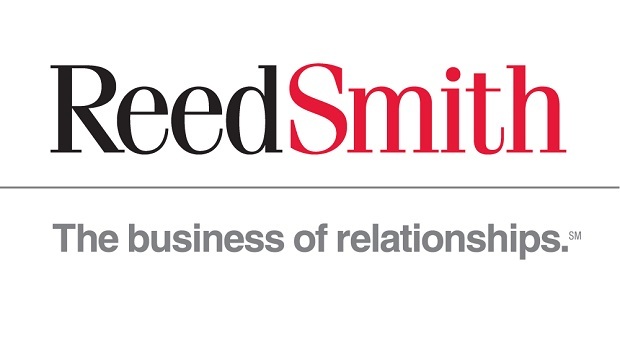 Reed Smith is a leading international law firm, known for its work in the corporate, media, shipping and real estate sectors among many others, with 26 offices across the US, Europe, the Middle East and Asia. It has built a reputation on an inclusive and friendly working culture, winning many awards for diversity and inclusion over the years. One area it heavily focuses on is disability. Commonwealth Correspondent, Olutokun Emmanuel, tells us what he thinks of the “I am Able” campaign. Stevie wonder once made a deeply profound and very powerful statement which was that “Just because a man lacks the use of his eyes doesn’t mean he lacks vision”. Vision tends to be the singular force that distinguishes a person in his life race. Just because a man lacks strength in his legs doesn’t also mean he can’t make tremendous progress in life. Just a month ago, the spirit of unity, partnership and collaboration was indeed alive and flowing in the youth leaders who were present at the 4th Caribbean Youth Leaders’ Summit held in Belize City, Belize from September 27-30, 2016. The summit was organized and hosted by the Caribbean Regional Youth Council (CRYC) in collaboration with the Sir Arthur Lewis Institute for Social & Economic Studies (SALISES) 50/50 Youth Cluster and the Government of Belize and was themed “Agenda 2030: From Rhetoric to Action”. The summit was convened “to bring the voice of youth into the intergovernmental debate on how to make the post-2015 development agenda a reality” and it served as a forum where the Caribbean youth leaders sought to form new partnerships, and strengthen already existing ones. Report Back: CYC at Fostering Multi-level Resource Governance to meet Paris Climate Change commitments: the role of local decision makers. The Centre for Science and Policy and Cambridge Centre for Environment, Energy and Energy Resource Governance organised a policy workshop on the topic of Fostering multi-level governance to meet Paris Climate change commitments: the role of local decision markers at St. Catharine’s College, Cambridge on the 5th October 2016. The Commonwealth Youth Council was ecstatic to hear the news that Nauru established its National Youth Council on the 16th August 2016. With the vision of having a National Youth Council in all the countries of the Commonwealth this certainly came as good news. Rural areas have over the years been major actors in sustainable development especially in the agricultural sector.The Commonwealth Youth Council appreciates the importance of literacy as the founding building blocks to access to education, access to opportunities and youth development and empowerment.